These days, we take the distinction between single-player and multiplayer first-person shooter maps for granted, but it wasn’t always so. Back in the ancient ‘90s, somebody invented multiplayer-only maps. Today, in the soon-to-be ancient year of 2017, the question is who. During last weekend’s QuakeCon show in Dallas, id Software creative director Tim Willits told PCGamesN that it was him. He claimed that the dynamic John duo called it “the stupidest idea they’d ever heard,” but he soldiered on. Thus, multiplayer maps were born. Speaking with Shacknews, Carmack said that he couldn’t remember the story Willits told ever having occurred, either. Meanwhile, Hall and McGee both concurred with Romero’s account on Twitter. McGee even went so far as to call Willits a “serial credit thief.” As for Hall, it’s worth noting that he moved on to Apogee Software, where he directed Rise of the Triad, which released in December 1994 with multiplayer-only maps and modes. 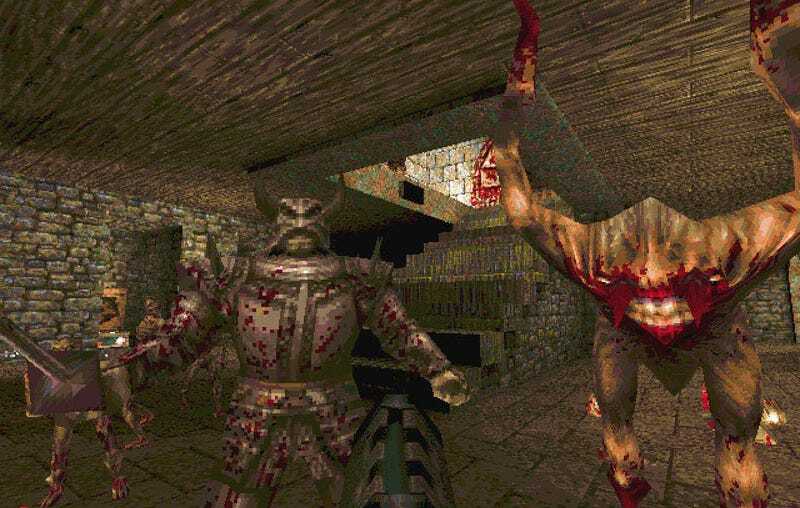 Quake didn’t come out until 1996. I reached out to Willits for comment on Romero, Carmack, Hall, and McGee’s claims, but as of writing, he had yet to reply.